The Atlantis Party Bus is a master piece. 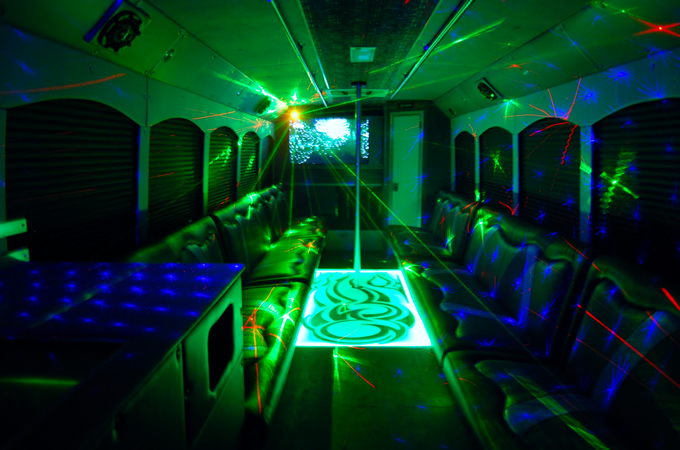 A comfortable 25 passenger party bus with colorful dance lights, this bus will give you the maximum feeling of a club on wheels. 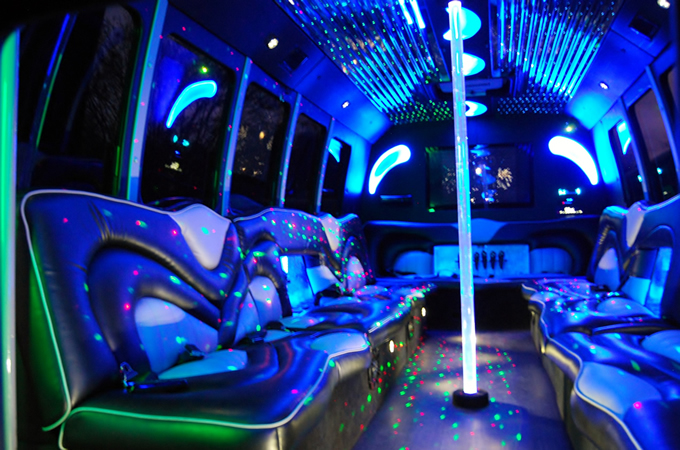 Enjoy the experience of partying on the go with the Enterprise Party Bus. This 40 Passenger limo bus is luxurious, comfortable and enormous. Perfect for transporting large groups around the city. The Black Diamond Party Bus is a luxurious and party bus that allows you to enjoy the experience of partying on the go. Cruise the city in style on board this 20-24 passenger spacious bus. 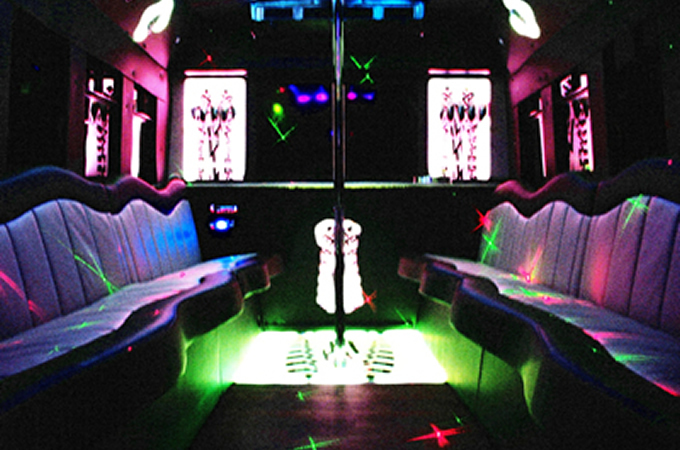 Our popular party bus for the extravagant social outing you desire. 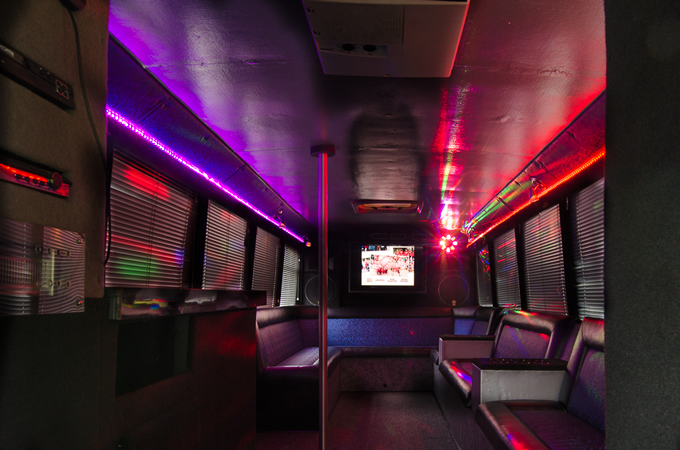 Whether it's a birthday party, night out, sweet sixteen, tailgating or graduation, this party bus has everything you need. 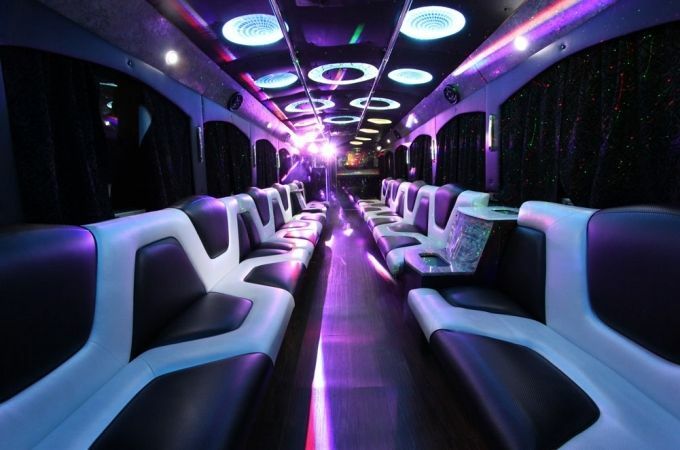 A 16-18 passengers party bus, the Fantasia Party Bus, is worth taking a tour on. Spacious with colorful dance lights, cruise on this fantastic road clubhouse for an experience you won't forget.